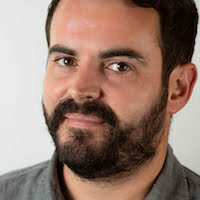 UK factual indie Icon Films has hired an executive from Tinopolis-owned Mentorn Media as its new head of development. Matthew Clifton held the same role at Mentorn and helped develop shows including Channel 4’s Crazy About One Direction and The Fried Chicken Shop; Robot Wars for BBC2; and Peter York’s Hipster Handbook for BBC4. His career also includes roles at Endemol, Ricochet and Rise Films, as well as in-house production for broadcasters MTV International and the BBC. Dividing his time between Icon’s Bristol and London offices, Clifton will lead the firm’s factual slate, reporting to head of factual Stephen McQuillan, whose role previously encompassed the head of development responsibilities. Clifton will be part of the Icon team heading to Mipcom in Cannes next month. Icon was recently commissioned to produce Sky Arts’ Passions – Judy Garland by Marc Almond, exploring the life of the Hollywood idol. Channel 4 also commissioned a 13×60’ series of Animal Airport for More 4. Meanwhile, ITV recently acquired Icon’s new documentary series Jeremy Wade’s Mighty Rivers.